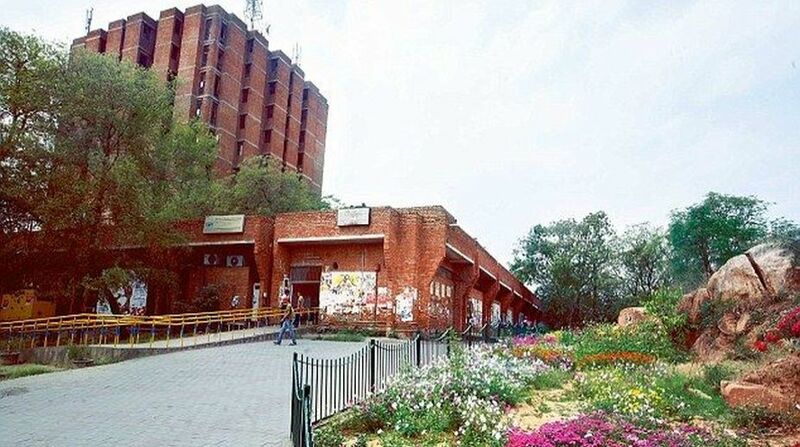 Polling for the Jawaharlal Nehru University Students Union (JNUSU) election was held here on Friday. Polling was held in two phases — between 9.30 am and 1 pm, and 2.30 pm and 5.30 pm. The counting will begin late Friday night. No official figure on voter turnout was immediately available. According to sources, in most of the centres the voter turnout in the first phase was less than 25 per cent out of total number of voters of around 8,000. However, large queses formed outside polling centres as the second phase of voting began. Former JNUSU president Kanhaiya Kumar, who has been campaigning for AISF and its presidential candidate Aparajitha Raja, said that the turnout this year was very low because of various developments in the past two years. “It may be because of loss of confidence among students because of various things that had happened, including the Najeeb missing case and seat cuts, in the last two years. The outgoing JNUSU, despite fighting against right wing and seat cuts, were not able to get desired results,” Kumar said. Seven candidates in the fray for the post of the student’s union president, which is currently held by the AISA in alliance with the SFI. Presidential candidates and their respective parties took out processions, raised slogans and distributed pamphlets among voters in their last-ditch efforts to garner votes.